Whether you’ve got a project that’s ready to shoot or you’re starting from just a concept, we bring your vision to life. We take pride in our ability to facilitate every phase of production & post in-house with minimal need for contractors. We take ideas from concept to completion in style. Since 2007 Entertainment Creative Group Productions, Inc. (ECG Productions) has been offering script-to-screen video production, post-production and animation services for commercials, music videos, feature films, television shows, commercials, corporate, and training projects. We offer video pre-production, production, post-production and animation services in Atlanta, Georgia and around the world. Our service offerings include; pre-production, scriptwriting, location and studio production, video editing, 2D and 3D animation, compositing, audio post-production, sound design, original music composition, Blu-ray/DVD mastering, drone aerial photography, 360 Video, Color Correction and Color Grading, and video marketing services. Our state-of-the-art facility located in north Atlanta can be toured virtually by clicking HERE. If you are looking for a creative partner that is sharp, passionate, reliable and dedicated to their craft then please contact us now. Animation was a very complex art form at it's origin, and it has come a long way since then. Thanks to constant technological advancements, animation continues to evolve. Each generation seems to hold something new and endearing for the next. The question some would stop to ask is, “What are the b.. 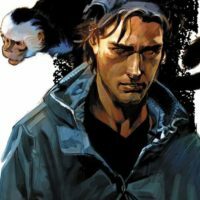 Fate has forced me to write a blog on this subject I just finished reading Y: The Last Man, Brian K. Vaughn and Pia Guerra’s masterpiece comic book series that ran from 2002 to 2008. Late to the party? Maybe, but you could also argue that I’m right on time. That’s because on August 20th, produ..
A discussion of Bad Taste There are a thousand and one reasons we watch movies. But there is only one reason to watch a bad movie–because it’s fun. What is bad then? Well, there are films whose messages are subtle because the filmmakers made decisions, probably difficult ones, to leave some stuf..